A video of a man driving a go kart on I-10 has went viral. ABC13 spoke to him in an exclusive interview to find just where he was going. HOUSTON (KTRK) -- A video of a man in Houston riding on a go kart is getting a lot of attention on social media. Christa Floyd said she saw the man driving the go kart near I-10 and Federal Monday night. She followed him with her hazards lights on until she said he turned into an apartment complex. "Things you see in Houston traffic," Floyd wrote. It's not clear where the man was going or coming from. Video shows man riding on go kart in Houston. SEE ALSO: Game of street hoops on busy Houston roadway? Game of street hoops on busy Houston roadway? 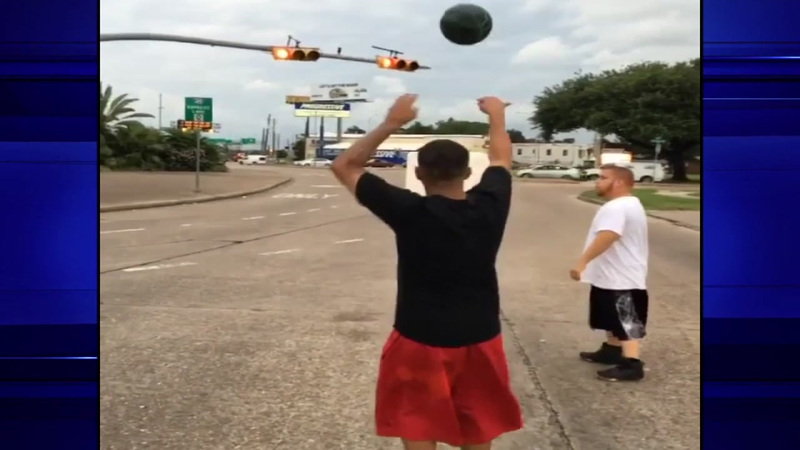 A bizarre video is circulating around Facebook, showing two guys playing a game of basketball...in the middle of a busy southeast Houston street!